Prior to visiting Southwest Louisiana last August I had no idea what culinary delights were offered in the region. Of course, I knew Gumbo and Jambalaya were popular, but I had never heard of Boudin or tried crawfish. Needless to say, since then, my taste buds have been introduced to a whole new region of food and they couldn’t be happier. During the Mardi Gras season King Cakes reign supreme, yet again, it was a food I knew existed but had never tried. It really is a shame that I went so many years without trying these foods that are based in Louisiana. I want to make sure the same thing doesnt happen to you. I’m sharing 7 must try foods and, if possible, a recipe so you can try making them at home. Of course, these are best enjoyed while visiting Southwest Louisiana, but homemade is second best. I’ll be heading back to Louisiana next month and I can hardly wait to enjoy more deliciousness! My favorite place to find the best Louisiana recipes is in Louisiana Cookin’ magazine. Full of beautifully photographed food and interesting stories, if you haven’t subscribed to this magazine you are missing out. A subscription is only $20 a year! 1. 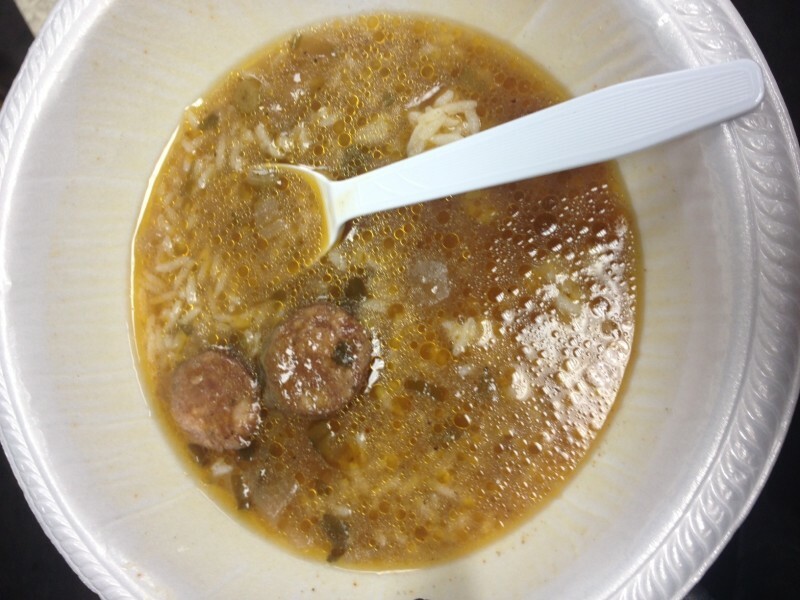 Gumbo–A thick hearty soup which is usually made with chicken and sausage or seafood. Traditionally served with rice and/or potato salad. This easy chicken and andouille gumbo is easy for anyone to make. If you live near a coast and/or have access to lots of great fresh seafood you could try this seafood gumbo. 2. 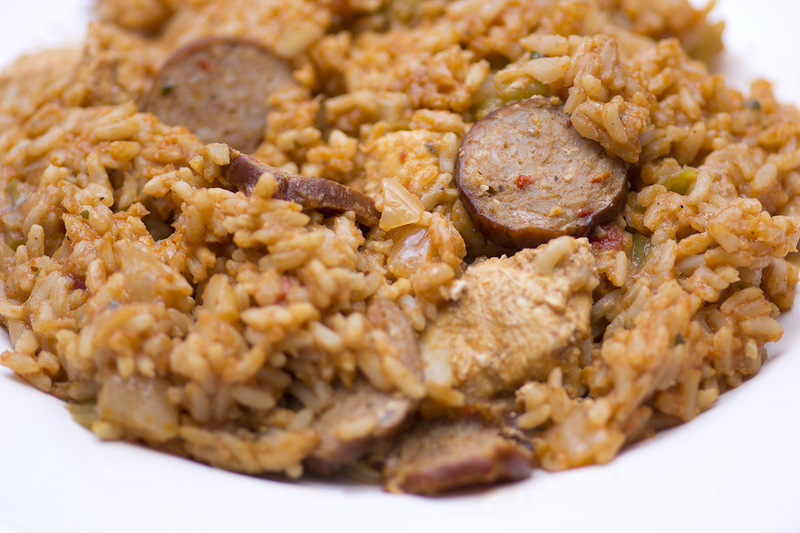 Jambalaya–From this northerners perspective Jambalaya is a lot like gumbo but with a rice base and no broth. Again the choices tend to be between chicken and sausage or seafood. Here is a spicy seafood recipe and a chicken and sausage recipe. 3. King Cake–This is THE treat of the Mardi Gras season. Made traditionally or filled fruit, cream cheese or Bavarian filling it is served at all the celebrations. A small baby jesus is still tucked into the cake and if you are lucky enough to find the baby jesus in your piece of King Cake you either have to bring a King Cake to the next party OR host the next party. 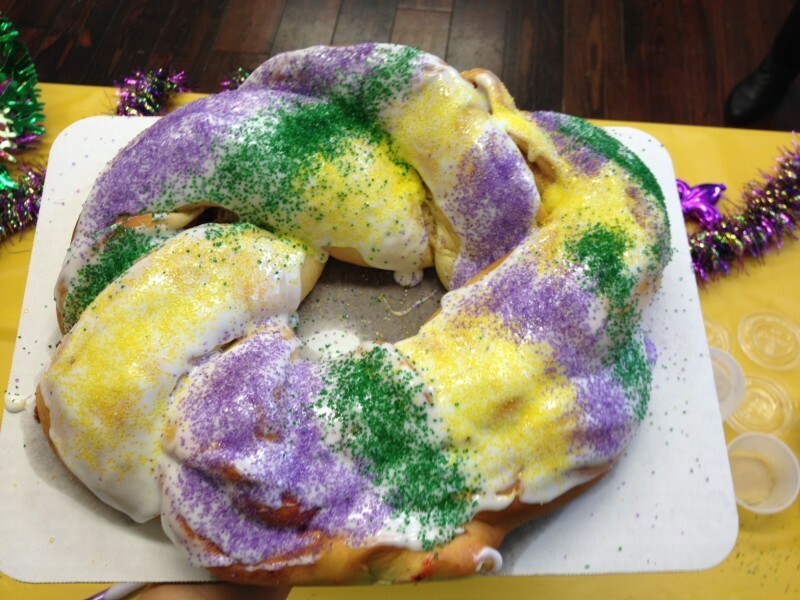 King Cake is always decorated with purple for justice, green for faith and gold for power. Of course, locals have their favorite places to buy King Cake. I had one from Cinnamon’s Bakery and it was absolutely delicious. Find a traditional King Cake recipe here. 4. 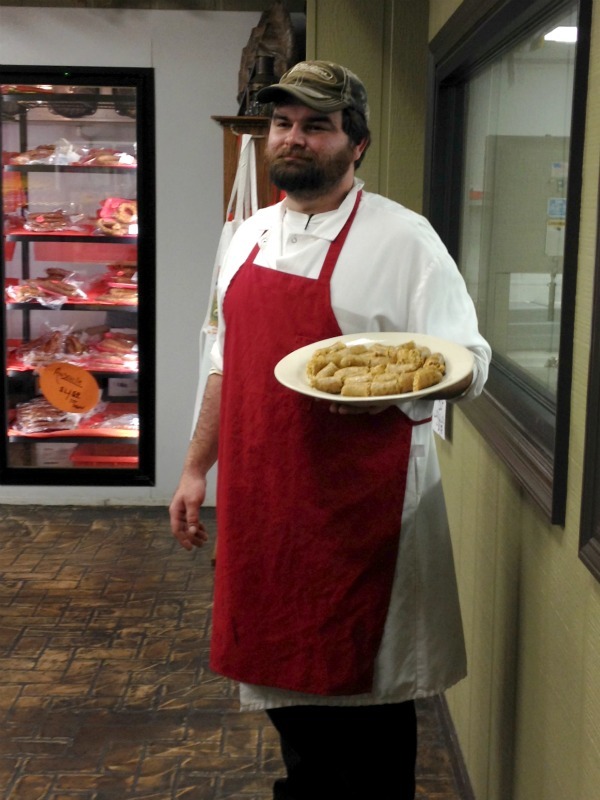 Boudin–A southwest Louisiana tradition, Boudin is served at wedding receptions, bridal showers, baby showers, graduations, summer cookouts and more. Boudin is a sausage and rice mixture either stuffed into a casing or formed into a ball, rolled in batter and fried…hello, Boudin balls. In fact, Boudin is so well loved that there is a Boudin trail you can drive to try numerous Boudin varieties. Probably one of my favorite Southwest Louisiana foods! 5. Crawfish–I’m not a fan of dismembering my food before eating it, but it’s a Louisiana tradition to dump a mess of crawfish on the table for everyone to enjoy. It’s pretty interesting to watch, but I couldn’t bring myself to tear the crawfish apart before eating it. (I’m a food wimp) I did, however, try it thanks to Elizabeth who dissected the crawfish and shared the meat with me. That is true friendship right there. 6. 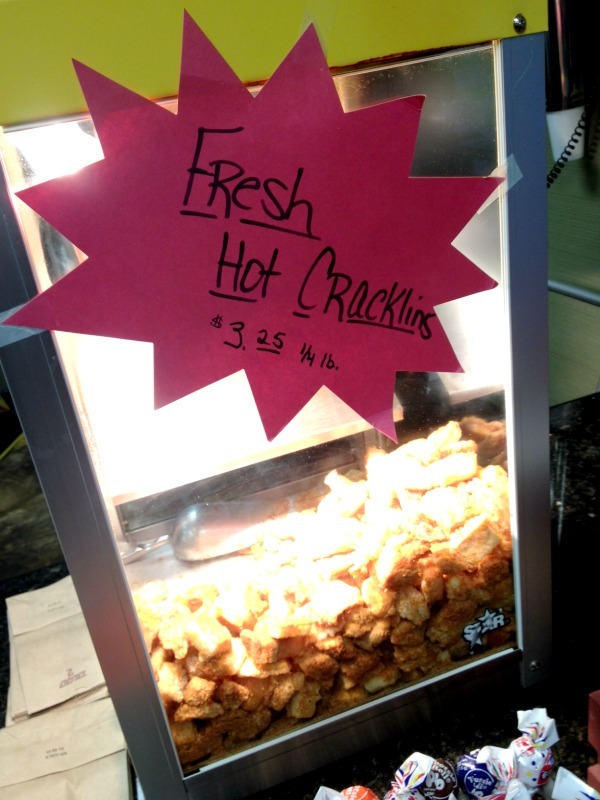 Cracklins–These pork rind treats can be found all across the state. Easiest to find in the same shops, stores, gas stations, etc that sell boudin. Generally served warm and eaten like chips. I did find a Craklin recipe if you’re are inclined to try making these at home. 7. 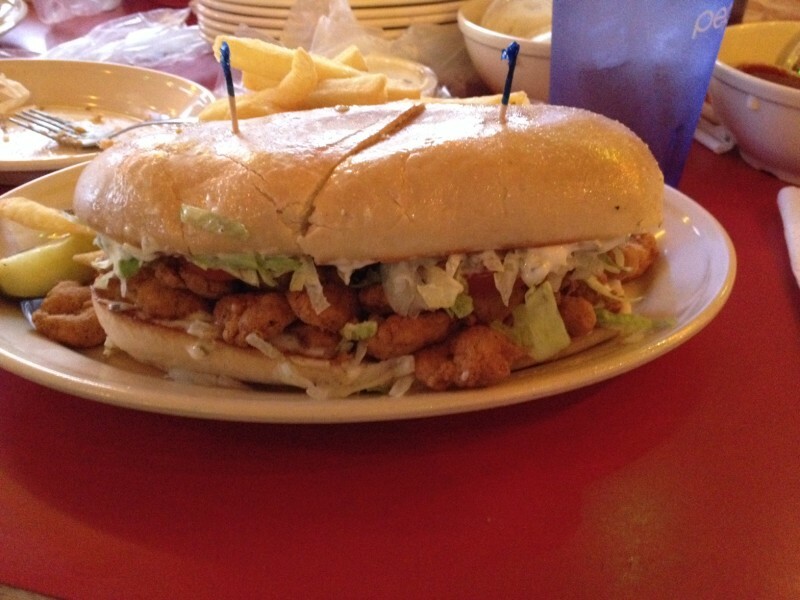 Po’boy Sandwich–Typically made with baked oysters or fried shrimp, or sometimes both, and served on a baguette-like French bread. Get your Po’Boy dressed and it comes with lettuce, tomato, pickles, and mayonnaise. 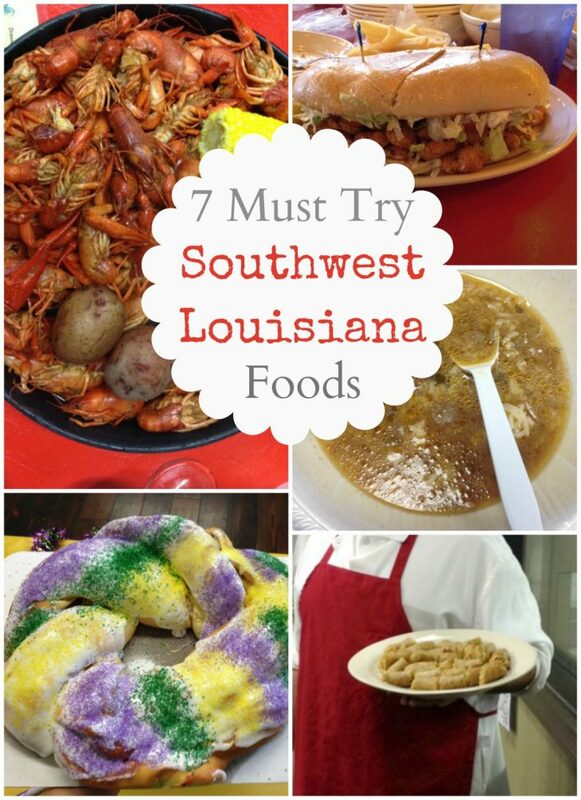 Want to plan a trip to Southwest Louisiana to try some of these delicious foods for yourself? Give the folks a Lake Charles, LA a call for help planning your southern foodie adventure. 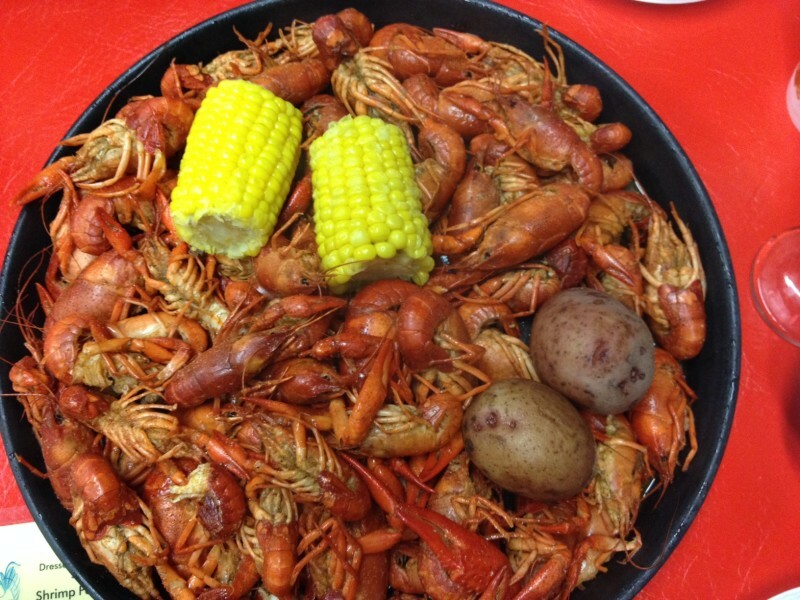 What is your favorite Southwest Louisiana food? I grew up in SW Louisiana and lived in Lake Charles for many years before moving to AZ. Whenever I fly back home to visit I binge on all that good stuff! Nothing like a big pot of gumbo on a chilly day! Best when served with saltines and topped with a sprinkle of Gumbo filé! YUM!